There are times when you can hear something from new cats that might transcend the content of the track you are listening to. 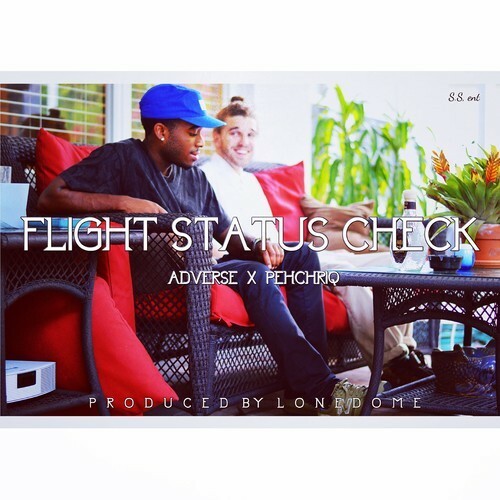 “Flight Status Check” brings little to the table conceptually. This is not an attempt to take anything away from the combo of Adverse and Pehchriq in all sincerity. The talent is obviously there. The production from Lonedome is on point and the emcee duo ride the beat effortlessly and without flaw. Their vocal tones work well with the track and one another. I look forward to hearing what else these guys have in store for us. Maybe I’m just being a bit old fashioned when I say that I want to hear something other than the standing rap music status quo. Maybe you feel like I’m being a hater, or maybe I feel like I’m being honest.